You are currently browsing the category archive for the ‘Top 5 Most Rewarding Houseplants for Novices’ category. Hi Zinnias, and happy Thursday! A few days ago, one of my clients, Paul, told me he wanted to get a houseplant for his house, but he wasn’t sure what kind to get. He said that he’d recently watched a movie, Desk Set, starring Spencer Tracy and Katharine Hepburn (1957). (He didn’t remember the title of it, but I found it later on IMDB.com.) He had noticed that Hepburn had a plant in her office that had vined around the whole room. He said he wanted one of those. My first thought was that it must’ve been a Philodendron. I haven’t seen that movie but they’re pretty and they’re viney – what else would it have been? A little informal searching on the Web later confirmed my suspicions. It was a Philodendron. The movie sounds charming, by the way. We talked a little more, and he said that he wanted a plant that he could enjoy watching grow, but with as little as care as possible. I wouldn’t really put Philodendron in that category. I mean, they’re pretty easy to grow, but not as easy as say, a Cactus that you only have to water once a month. Since our conversation, I thought about plants he might like. 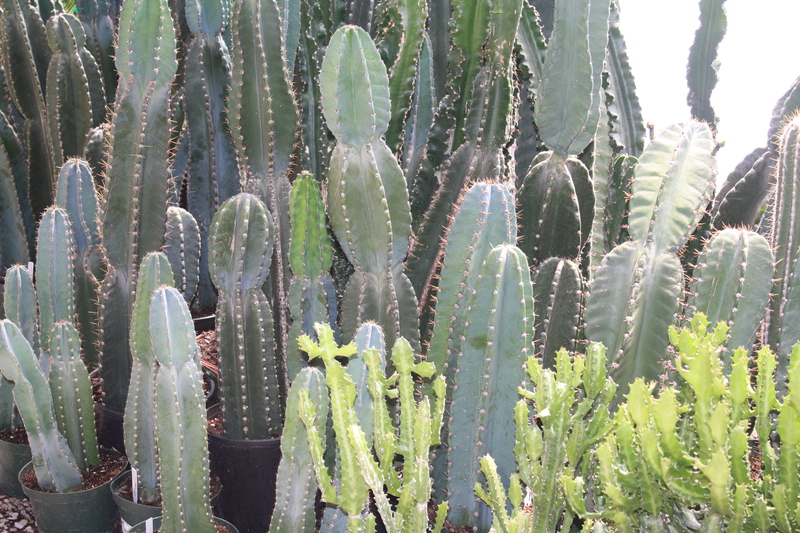 A Cactus might be ok, but they are slow growing (boring), and I think that’s why a lot of people can’t get into them. I’d rather turn him on to something more rewarding – a fast-growing, easy-care houseplant that also looks interesting. So I compiled this list of the most rewarding houseplants. Paul, any of these would be great for you. Oh, and please remember – if you haven’t handled houseplants before, wear gloves and wash your hands often. You may be allergic to the leaves or the sap inside – be careful. Some plants can be quite toxic, especially if you touch your face after touching the plant. Just to be clear, this isn’t a list of the easiest houseplants out there. For novices, I want easy-to-care for plants, but I also want ones that will dazzle with their quick growth and interesting appearance. We live in an instant gratification society – you can’t use a barrel shaped cactus as bait if you want people to connect with Nature. Over at Plants Are the Strangest People, mr_subjunctive compiled a list of houseplants in terms of difficulty. I love his list – it totally cracks me up – but my list isn’t just about the care level, so keep that in mind. 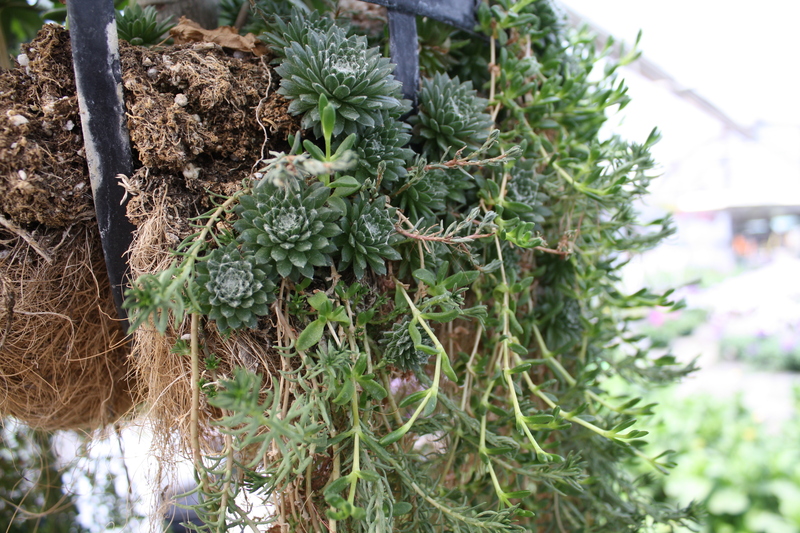 Succulents are plants with fleshy leaves or stems that can store water. Cacti are a type of succulent, but for novices, I recommend the soft, juicy plants like the various Sedums, Aloes, Jades, Crassulas, Hens and Chicks, etc. Because they store their own water, they’re extremely forgiving to a newbie who might forget to water them. Plus, they come in zillions of different shapes and sizes, so a novice will hopefully get hooked. Lastly, they grow super fast. They are also great for kids – you can develop a lifetime love of Nature by teaching kids about succulents. 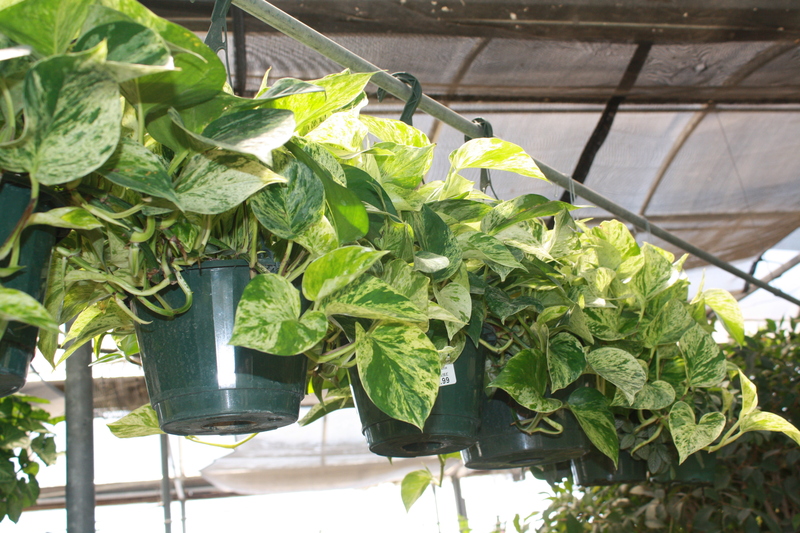 Pothos are similar to Philodendrons in that they vine out quickly, but Pothos have bigger, sturdier leaves. They’re pretty plants that hopefully will capture the attention of any novice. They are not care-free plants, but they are very forgiving. If they are in smallish pots, say 8′ (diameter) or smaller, I would tell a novice to soak it in the kitchen sink every two weeks. 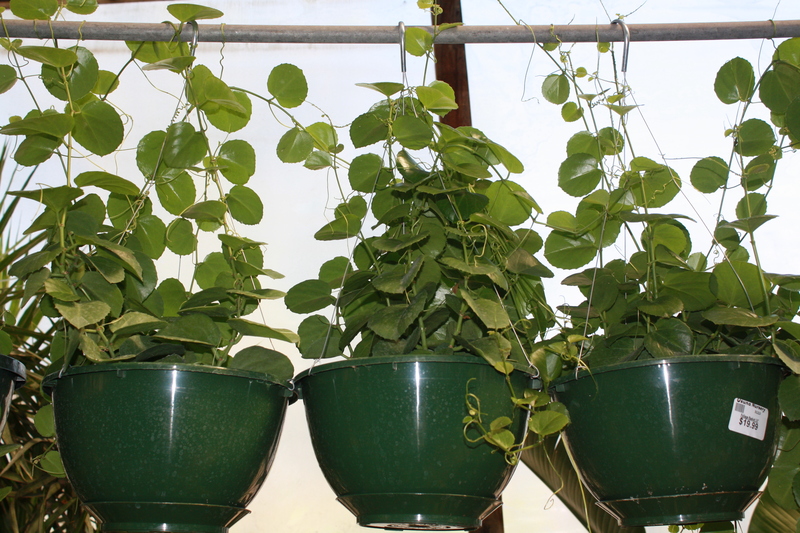 For bigger containers, water thoroughly once a week from Spring through Fall, then sparingly in the winter. 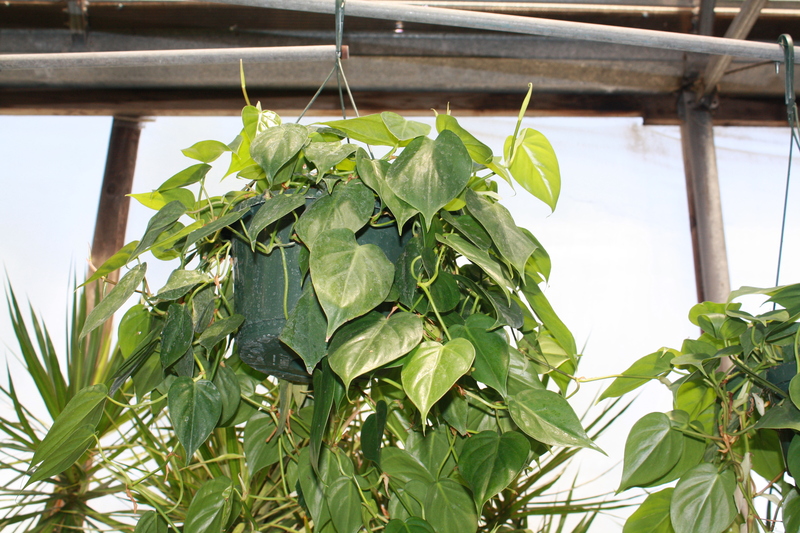 A Pothos will let you know when it’s thirsty – its leaves will become droopy. 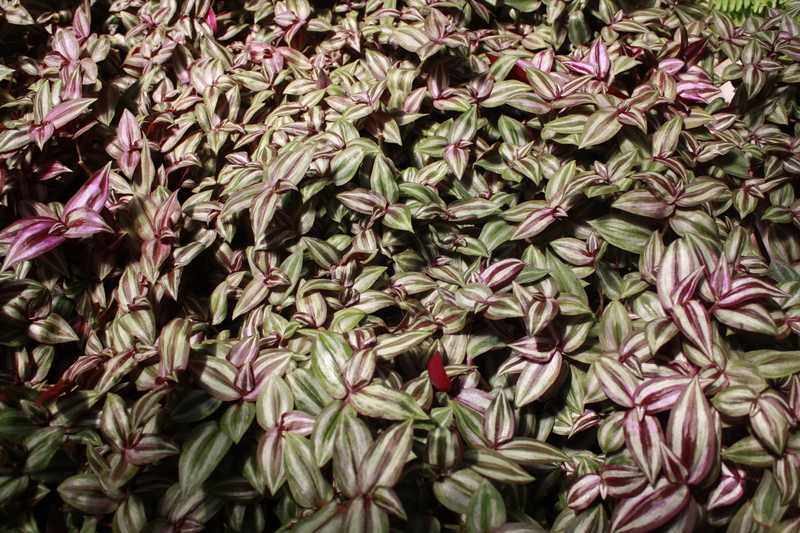 The dark-leafed varieties require very little sunlight and even the more variegated ones will adapt to low-light situations. Pothos is very similar to Katharine Hepburn’s plant in the movie – you can train it to go around the room, if you like that sort of thing. Boy was my face red a little while ago! I was determined to include this plant on this list, but I had no idea what the name of it was. I’ve always called it a Hoya, which was incorrect. Special thanks to mr_s. for coming through for me when the nursery employees could not. It would’ve been sooooooo embarrassing not to have its name! Even without knowing its name, I am familiar with this plant, and it grows like crazy. It’s sure to enthrall novices with its sheer force of growing. Forget to water it? No problem, it’ll still grow. Hot apartment? It’ll thrive. Low light? It doesn’t seem to care. It would prefer regular waterings, a cool environment and some sunshine, but it doesn’t need them. Seriously, this is one of the most enthusiastic plants I’ve ever seen. It’s like it has goals or something. The only downside, and it’s a fairly big one, is that its sap is toxic. I wouldn’t let toxicity stop me from recommending the plant, though, because if I’m giving advice to novices, I’m also cautioning them about the dangers of plants. It’s pretty. It grows at lightning speed. It produces adorable little offshoots. And it’s pretty mellow in terms of care. Why wouldn’t it make the list? It would prefer to have good thorough waterings every two weeks or so, and a sunny window nearby. In my experience, though, it’s not picky. 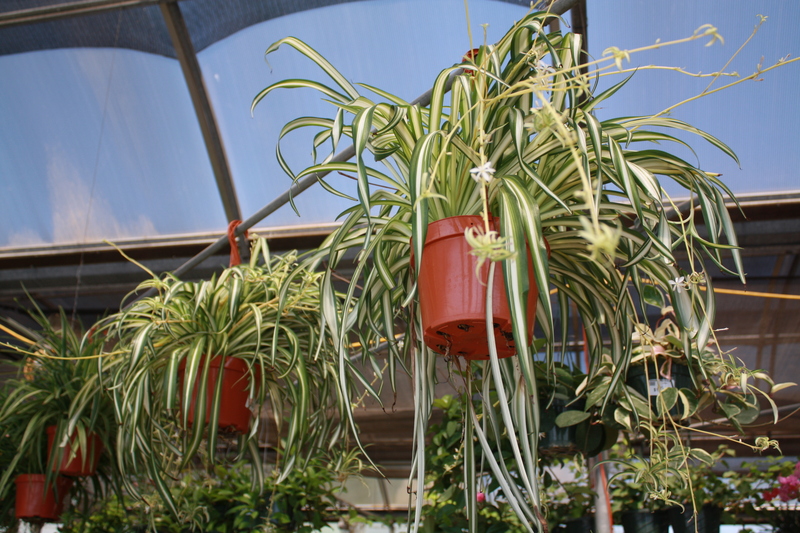 Spider plants have been charming people for decades. I don’t care what anyone says about them being “bad Moms,” I think they’re awesome. Ok, with a name like that, is this plant really deserving of the fifth position? Well, it’s true, it has gnarly thorns. Here’s my thinking: Just because they’re novices doesn’t mean they need coddling. The Crown of Thorns plants are great teachers of how Nature can be fierce (the thorns) and gentle (the adorable little bracts) at once. It’s like the sweetest most vicious plant I know. 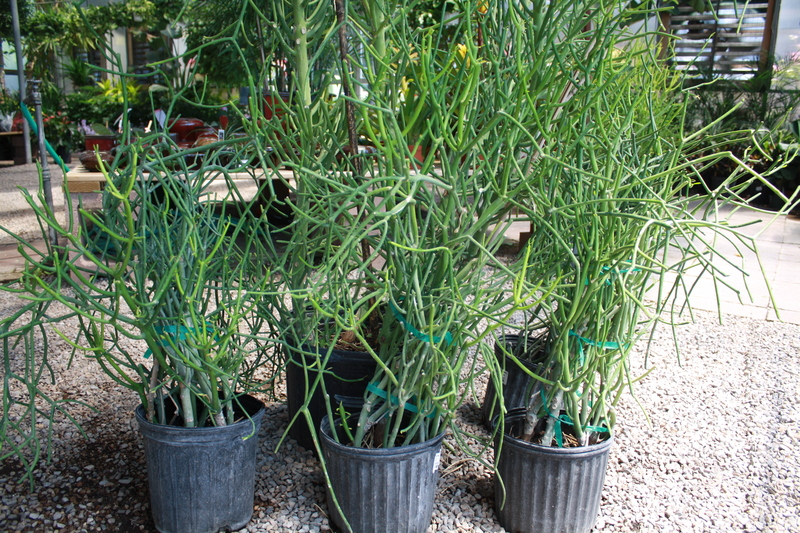 Plus, it grows really fast and requires hardly any water. It too has toxic sap. But even with the sap and the thorns, I would still recommend this plant for novices and even kids, with the proper cautions. 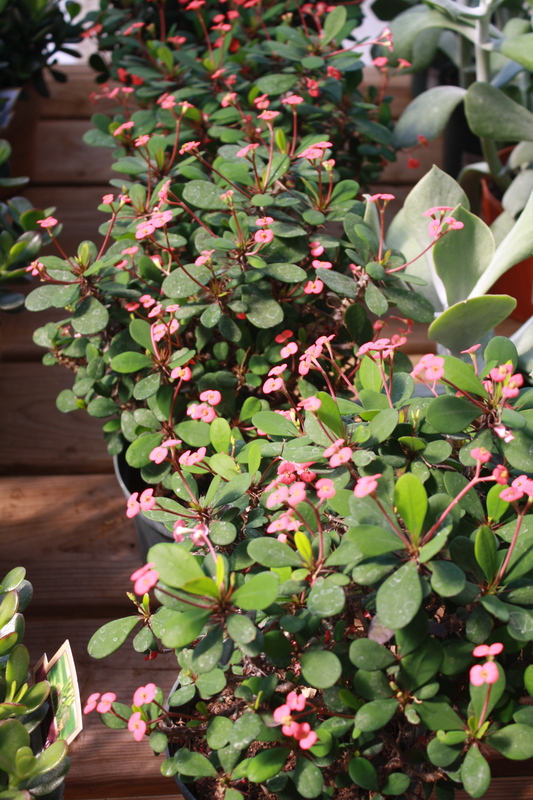 All the fun of a Euphorbia with none of the thorns! Purple stripes. Maybe I should rethink this plant’s position. I picked Pothos over Philodendron because they’re a little less girly. That’s all. It’s a perfectly good plant for novices. 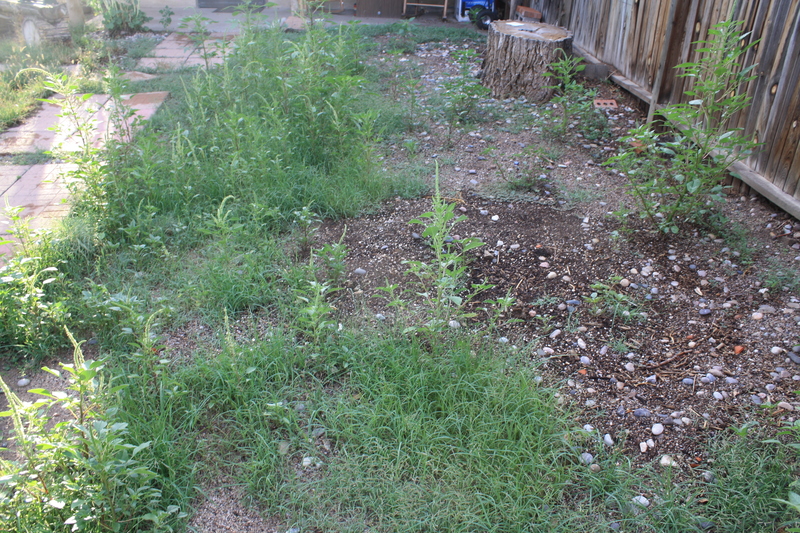 If you just want to see things grow fast, and you think that’ll hook you on Nature, check out your back yard. Most of the plants on the list were chosen with the assumption that the novice would actually like to become more knowledgeable about plants, and get better and better at taking care of them. The joy of discovering Nature and all. But if you’re not that novice and you’re more like the kind of person who wants a plant in the house but doesn’t want to be bothered by remembering to water very often, a Cactus is your plant. Now, I’m not sure why you would want a plant if you’re not going to learn more about them, but I’m sure that describes many people and I’m trying to be inclusive here. Ivy plants didn’t make the list because they’re so susceptible to bugs. A Mimosa plant, which folds its leaves when you touch them, would be a masterful teacher, especially to children. But I haven’t seen one in years, so I can’t in good conscience recommend them. I do love them, though. Some plants aren’t on the list because they’re ugly. But the majority of plants were eliminated because of the difficulty of care levels. For example, I think Dracaenas (Dragon Trees, Corn Plants, Janet Craigs) are tricky. A little too much water and they freak out. Not good for a novice. Also, plants like Palms depend too much on where the novice lives – they don’t do well here in the desert because unlike me, they like humidity. So, those were some of the guidelines I used when choosing these plants. There you have it, novices. Now, go out there and get yourself a plant! From a local nursery! I’ll be back manana with a brand new Ask the Experts edition and an answer to last week’s plant puzzler. Hope to see you here.